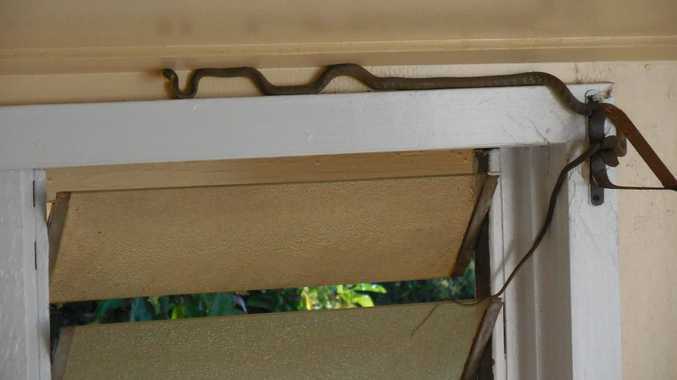 A CHILDERS woman got the fright of her life when she spotted two slithery, uninvited guests in her home. Diane Styles was going about her daily routine at home when she saw the snakes yesterday afternoon. 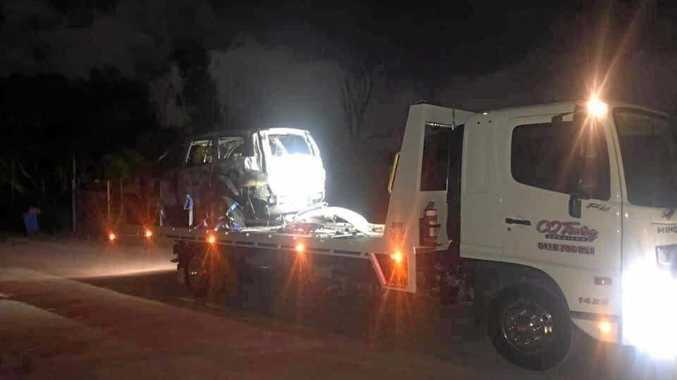 "I rang Bundaberg Regional Council and the girl was very helpful and gave me two phone numbers," she said. She sent three photos to a Bundaberg-based snake catcher and he informed Ms Styles that it was a tree snake. "About an hour after contacting me I saw another one coming through my louvres and going up to the other one," she said. "I rang a friend who told me to spray them with Dettol, which I did from a great distance." "One took off to the outside again and the other one dropped down to the landing." Like Indiana Jones, Ms Styles is not fond of snakes. "I checked this morning and it was gone thank god," she said. "My partner and I hate snakes."